Level Up: A “Genji M” Review – Part 2! 9/28/15/ UPDATE: Genji M is closed for the time being. Because some things are better the second time around! I remember the first time I went to Genji M, I gobbled up as much sushi and sashimi as I could (spam-sushi and samgyupsal-sushi were my favorites! ), eating to my fill with a good bottle of soju to wash down all the raw food we’ve had. 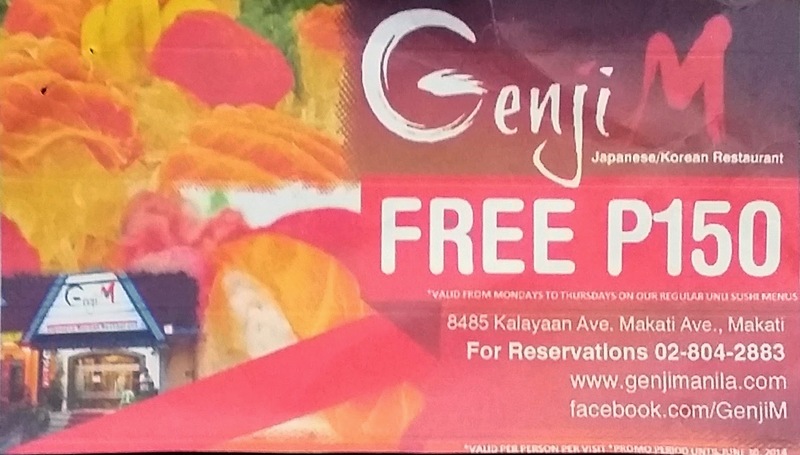 I had such a great dining experience the first time that I didn’t hesitate when I was invited to experience Genji M once again – this time with a better service and more dynamic menu. It’s Genji M part 2, level 2! Samgyupsal will always be my favorite Korean dish. Samgyupsal-Sushi! This has got to be the epitome of a Japanese-Korean fusion. We were able to get a first had experience of this “upgrade” on our second visit and imma share those with you guys in this post. Since I have already made a detaied review of Genji M here, this post would be dedicated to the changes that the establishment has made since. 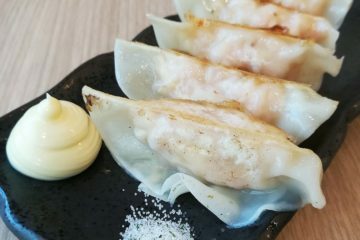 One of the “good problems” that Genji M has had after the first time that my fellow foodies and I talked about the restaurant on our blogs, was that the kitchen and dining hall was having a hard time keeping up with the demands of the sudden surge of customers. In a way this is a good sign because it means that more people are visiting the restaurant, but at the same time, the management realized that they need to keep up with the demand to keep the quality of their service. Because of this, more people were hired to work on the kitchen, and to serve the customers. They also have a new Head Chef – Chef Roel, because Chef Park, who used to prepare the dishes at Genji M, already left the country. Miguel Pelaez of Nuffnang and JM, General Manager of Genji M, tells us about the improvements with Genji M’s service. 2. Korean Buffet all the Way! All the dishes at Genji M are prepared on the spot upon ordering to guarantee the customers that the dishes served to them are fresh and at their best. This is the reason why preparing and serving the orders take a little bit longer. I guess we just need to remember that Genji M is not a fastfood restaurant, so we can’t really expect our dishes to be ready just as fast because preparing sushi and sashimi takes a lot of care and patience. However, I do understand my fellow foodies when they get a little but impatient – Genji M offers unlimited sushi and sashimi, so most likely you would make sure that you haven’t eaten much before you go to the restaurant so you can gobble up all the sushi and sashimi you wanted. But don’t worry fellas, a Korean Buffet (available when you get the Unlimited Menu) is now laid for the customers in one corner, so you have something to munch on while waiting for your food. Go ahead and have as much Korean food as you want! If you don’t have time to go all the way to Makati for a couple of sushi (or more! ), you can have them delivered right to your doorstep instead! Genji M now delivers through 212121. Won’t you love to have these delivered right to your doorstep? You can also get special discounts for dinner on weekends! 5. Coupons and more coupons! 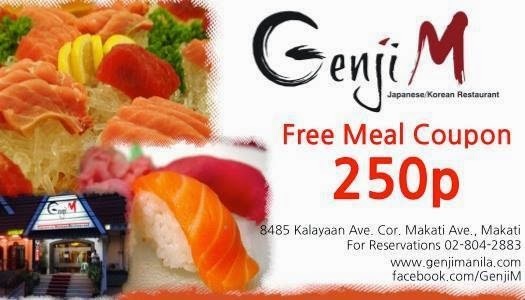 In my previous post about Genji M, I gave away discount coupons and now, I’ll be giving away more! Aside from the Php 250.00 coupon, we also have ones worth Php 100.00 and Php 150.00. Now here’s the special treat: below are copies of the coupons I’m talking about. 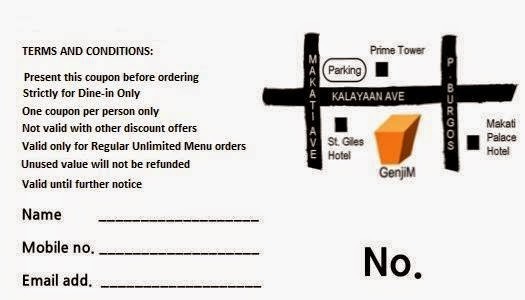 You can enjoy these coupons by simply printing them out and presenting them to Genji M to enjoy the discounts! Easy Peazy! Please note though only 1 coupon is valid per person. Valid from Fridays to Sundays on the regular unli-sushi menu. Valid from Mondays to Thursdays on the regular unli-sushi menu. To those who have already tried Genji M, you may want to make another visit to experience the changes that they have made to improve their services. If you haven’t been there, now’s a great time to go! You can visit the Genji M Facebook page here. Next ArticleGuardians of the Galaxy Soundtrack Released! Old School Music makes up List.